A World of Addition to discover. 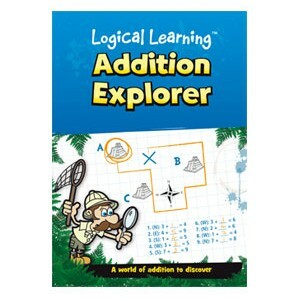 Come and join Dr Maths and his team and discover the fun that can be had with the Explorer series of books. There are 30 Quests that have to be undertaken from exploring jungles, finding the wreck of an old Spanish galleon, trekking across the Sahara or finding treasure in El Dorado. 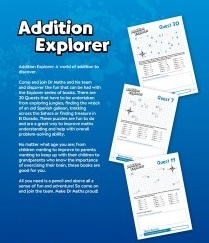 These puzzles are fun to do and are a great way to improve maths, understanding and help with overall problem-solving ability. Contains: 1 Workbook with 30 Quests and Answers. 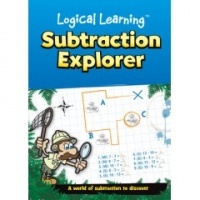 Fun puzzles to help with Subtraction. A world of multiplication to discover.